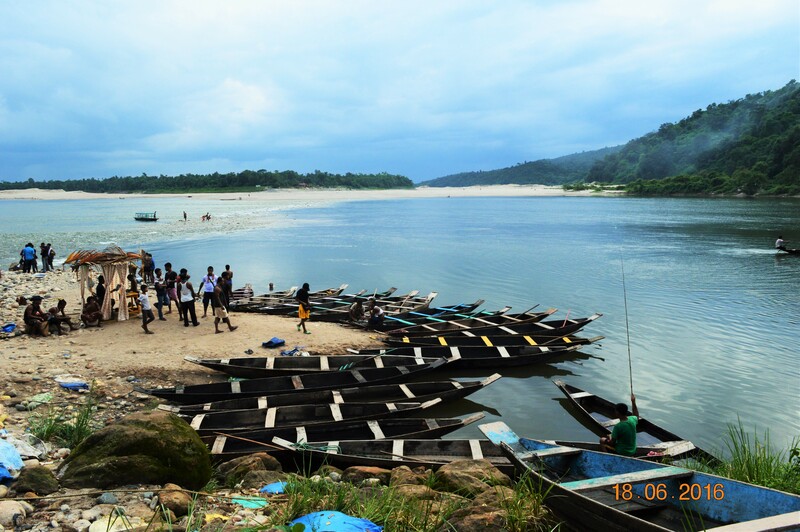 Meghalaya was the first state of the seven sisters that I visited. I had planned to visit a year back but had to cancel my booked ticket because of some unforeseen circumstances. Arghhh!!! Since then I was waiting for this trip to happen and one fine day the moment arrived when I finally took a train from New Jalpaiguri to Guwahati. If you’re wondering where did New Jalpaiguri come from; I was at my hometown Darjeeling at that point in time and the nearest railway station from my place is NJP. You can take a flight from Bagdogra which might be for about an hour to Guwahati but I chose to travel economical. Overnight journey in train doesn’t matter much and moreover it was a vacation and I had ample time in hand. Train was on time (for a change) so I reached Guwahati early in the morning. 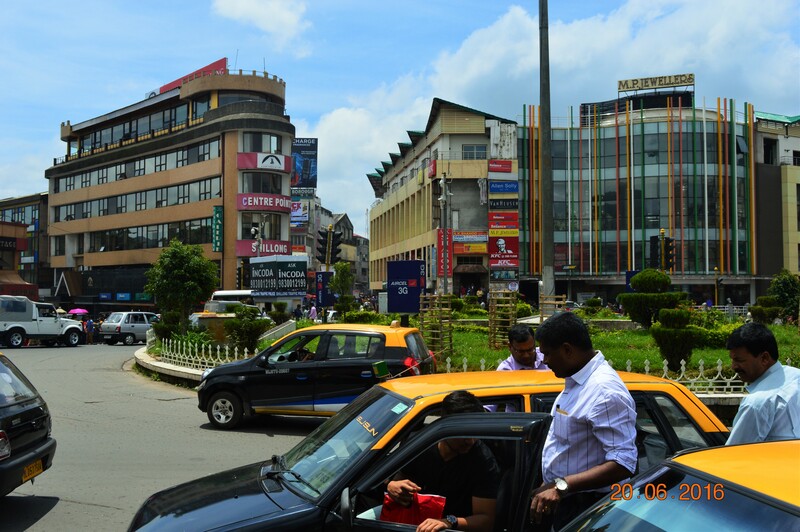 You can take a taxi to Shillong from Guwahati which is about 3hrs drive. That’s the easiest way to reach your final destination. A taxi will cost you Rs300 if you’re okay with another 3 passengers accompanying you. You can expect Economy category car which will carry 4 passengers. You can travel solo in case you are ready to bear the cost of 4 seats. Ohkay, so finally after couple of hours I reached Shillong!! You feel mission accomplished when you see your plan work.. I was glad that my very good friend was waiting for my arrival in Shillong as we had plans to go around the place together. There were lots to catch up and the day ended with loads of gossip and the excitement to visit the much awaited places in the coming few days. Next day we planned to cover Shillong City before we venture out to the neighbouring places, hence we left for Shillong View Point. Nice drive from the main city and being inside the defence land you’ll have to submit an ID to enter so make sure you carry an ID along. 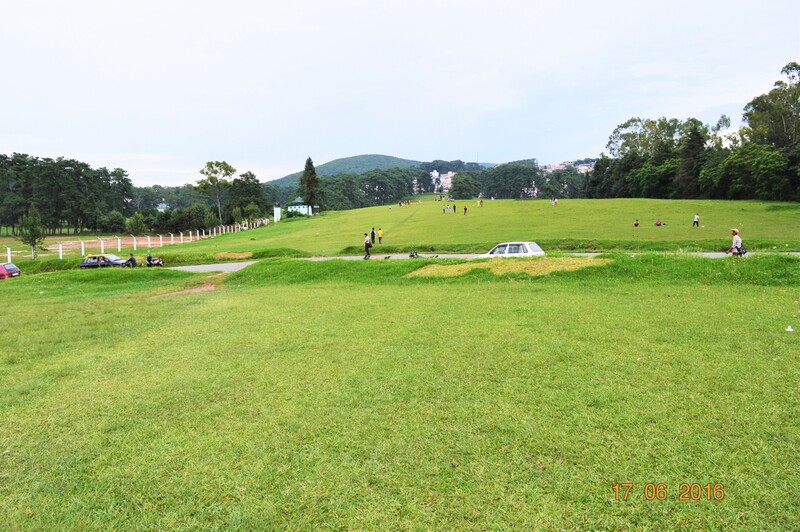 Shillong Peak offers you the bird’s eye view of the city. I had traveled in June and I would say it was not the ideal time to visit. I was constantly praying for a sunny day but God was not that generous. I couldn’t do much but to wait for the fog to disappear and yes it finally did, thankfully!! 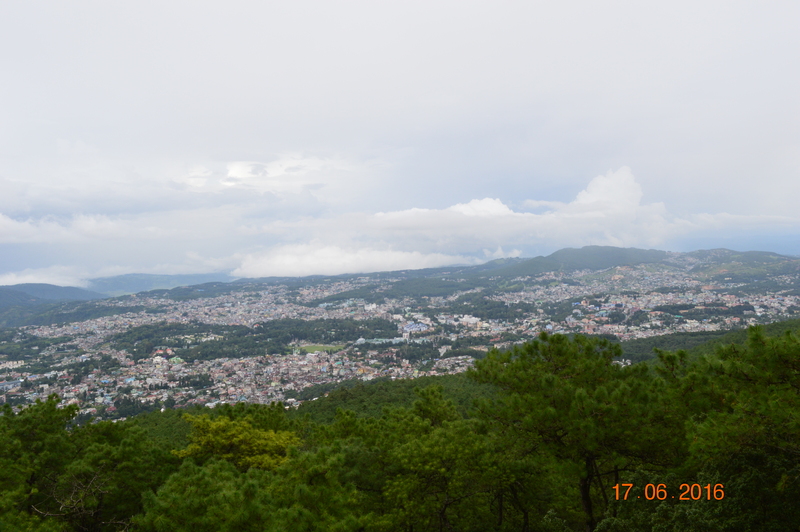 I could at last enjoy the panoramic view of the Shillong city. You can take some great pictures of the city and yourself too. 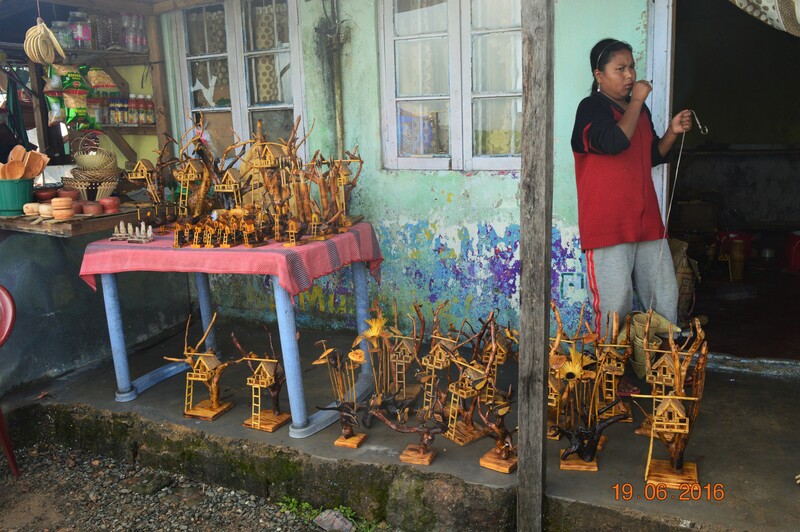 There are couple of restaurants and shops selling local handicrafts. You can also wear their traditional attire and take a picture. They will charge you only Rs50 for their traditional dress and help you wear it. Trust me, you need to get a picture clicked in their local attire when you visit this place and am sure you’ll thoroughly enjoy it. 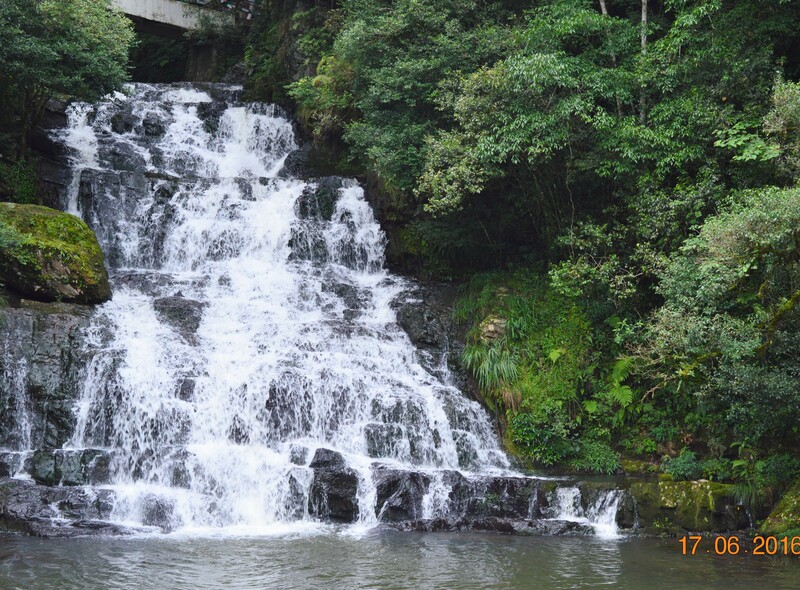 After taking a satisfactory look of the Shillong city and capturing some excellent photos we went to our next spot. We decided to visit the Maitilang Park so as to capture the view of Elephant Falls. Don’t go by the name guys, there is no elephant falling anywhere … lol.. just kidding !! 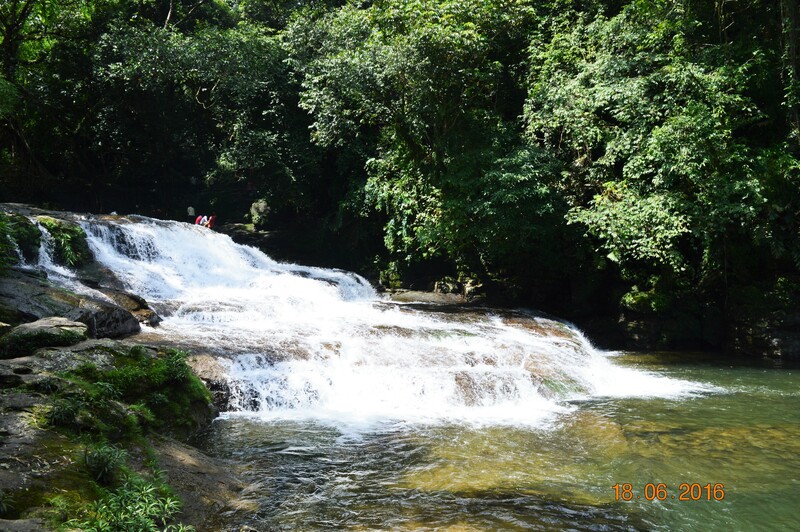 It is a waterfall and can be visited directly by going to Elephant Falls too. As per the review received from a friend, you need to walk down the stairway to reach to the bottom of the falls and climbing back is definitely strenuous and ofcourse with our little angel (my friend’s daughter) accompanying us it wouldn’t have been possible for us to try that. Hence, we were suggested to view the fall from Maitilang Park which is bang opposite to it and the fall can be seen from close. I must say I quite enjoyed the Park, the entire surrounding was full of greenery and oh yes… it was serenity personified. So guys, if you want to see the Falls by close and without taking those strenuous stairs you do have an option. 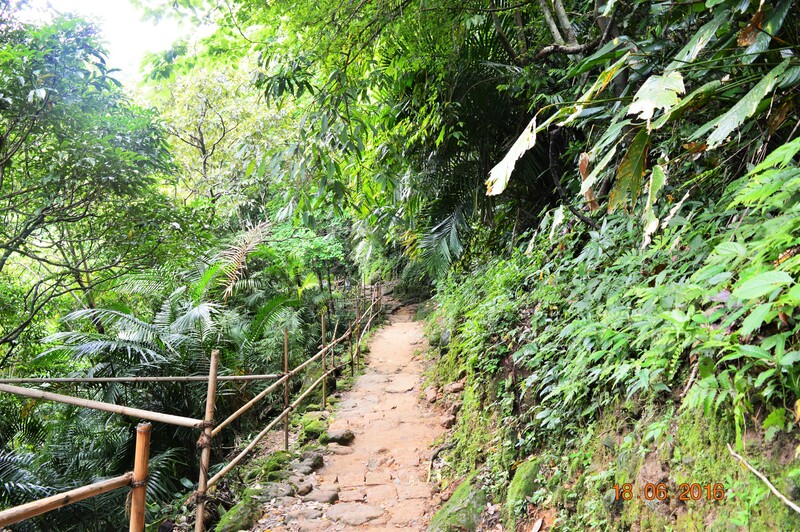 You can enjoy the breath-taking falls and at the same time witness the greenery and serenity that you feel in the park. Our third stop for the day was at Ward’s Lake. 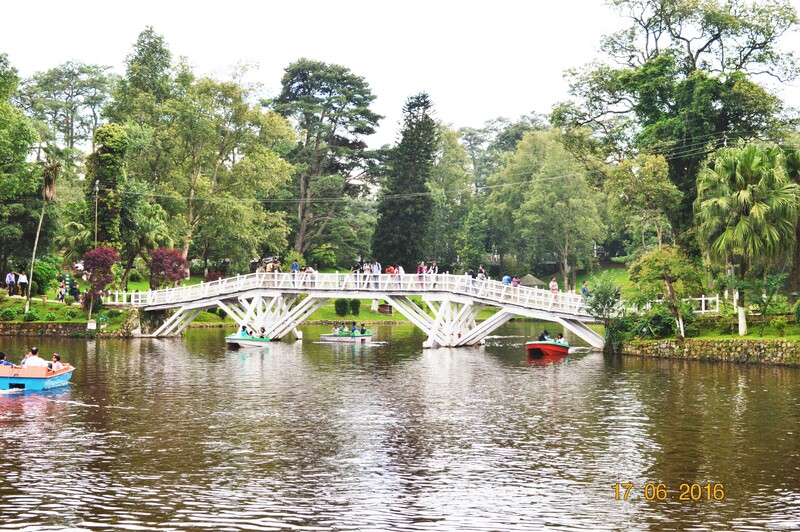 It’s an artificial lake in the centre of the city, surrounded with beautiful gardens. The lake is well maintained and very clean. You can enjoy boating if you have time in hand. Stroll around, click some awesome pics and enjoy the beauty. We left for Golf Course after visiting the lake. I had not heard much about it earlier but as my friend suggested it to be a good place, we decided to stop by. It was again a scenic beauty and I must say it was HUGE!! It can be included in your sightseeing list if you have someone accompanying you. I don’t think I would have preferred to visit this place had I been alone but since I had my friend and her daughter accompanying me, I thoroughly enjoyed sitting in the lush green ground and chit chatting and looking around!! Fifth and the final halt for the day was at the All Saints Church. What a blissful way of ending the day!! 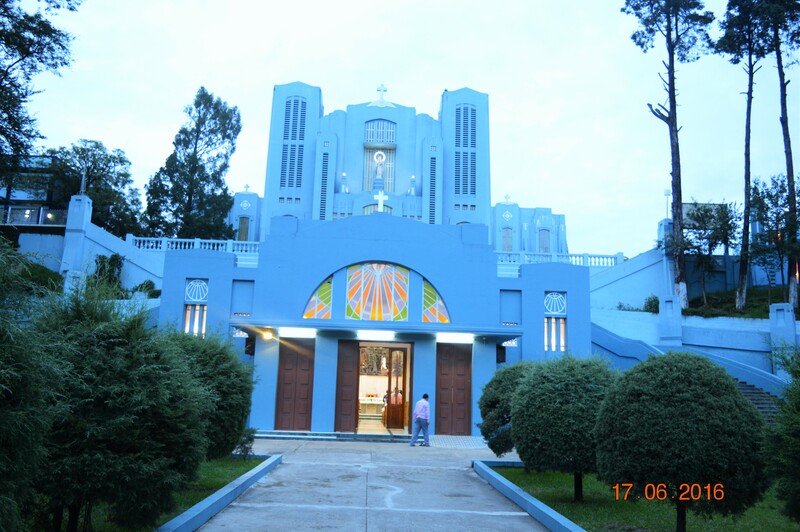 It’s a beautiful church, serene I must say. Service was going on in the church inside so stood at the doorstep and prayed but there was something in the air around I guess. It lifted my spirit and made me feel blessed. This church is definitely a must visit. So yeah.. it was a perfect start of the holiday with covering the major attractions of Shillong. 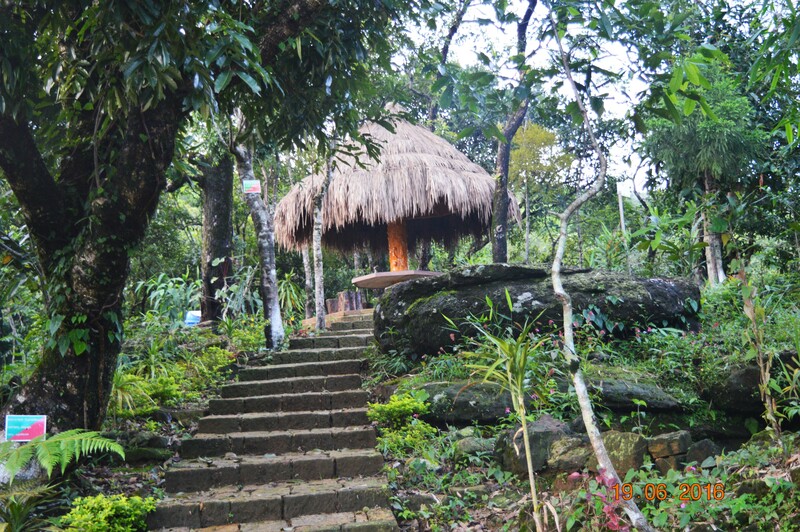 Next day was Mawlynnong on the cards. 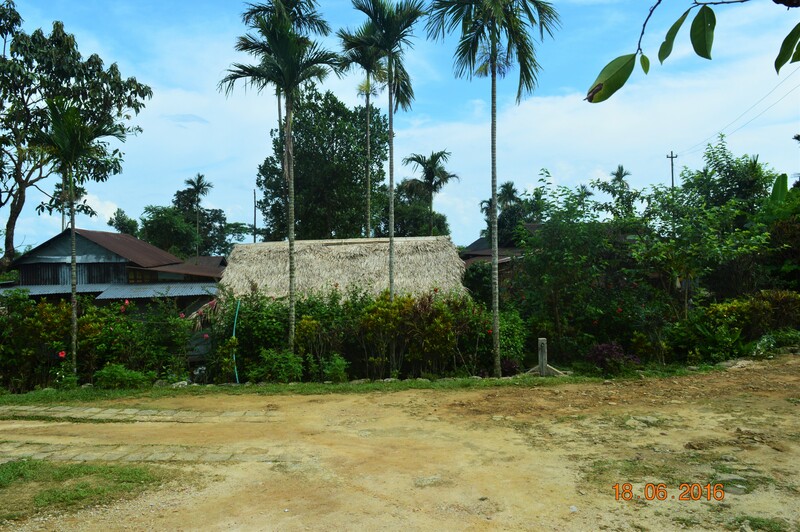 Being so near to the Asia’s cleanest village but totally unaware of its beauty!! 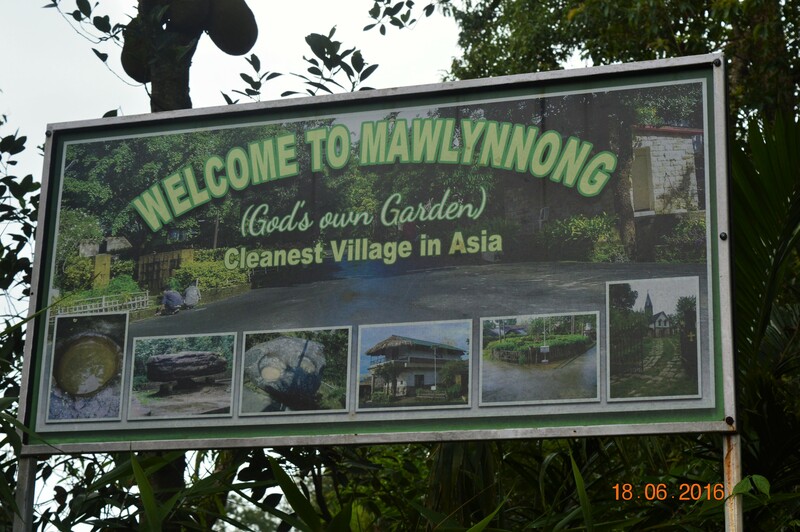 Mawlynnong is a small village about 100km from Shillong and has won the status of being the “Cleanest Village in Asia”. I was definitely super excited to visit this place. 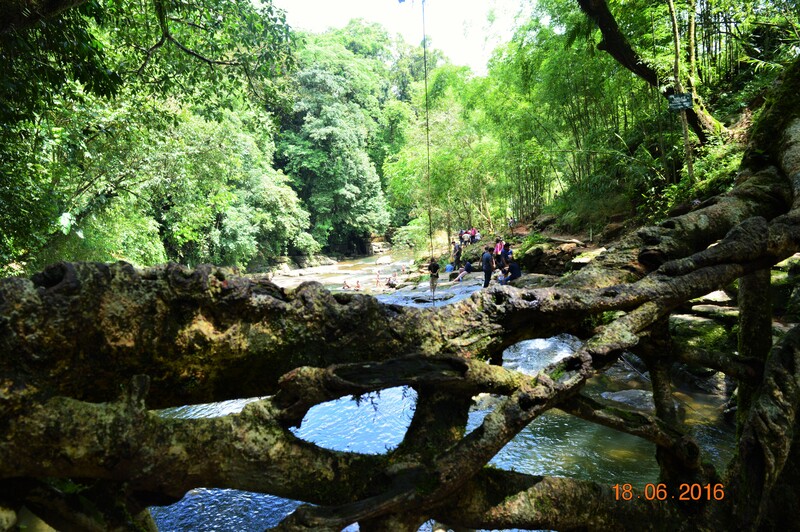 On the way we decided to take a halt to visit the Living Root Bridge which is about 2km before reaching Mawlynnong. I must say, what I saw was the nature’s wonder!! It is blissful to visit such a place which leaves you awestruck as to the extreme of what nature can provide. The locals there are the ones who has crafted that bridge. You have to pay a minimal fee to walk down to the bridge but before that I would suggest you should try the Alu Muri that you get in the food joint outside. If you like spicy food and if you like trying what locals have to provide, you should definitely taste it. It can be tiring for the elderly people to walk down and climb up as there are lots of steps that you have to take before you reach to the bridge. Place is breathtakingly beautiful!! Roots of the tree can make a bridge and you find yourself standing on it and taking pictures. WOW!! Isn’t that fascinating?? You can walk down the bridge to be near to the beautiful flowing stream. There were people taking their shoes off and playing with the water. No words to express the scenic beauty of that place. Not just the bridge, overall the place is simply beautiful. Couldn’t get enough of the place but had to leave for Mawlynnong. Expectation setting was high after vising this place and the curiosity was at its peak. No sooner had we reached Mawlynnong that it started to rain. That was the least of what I was expecting but as I mentioned earlier it was June so no complains. Took a shelter for a while and thank gosh the rain stopped and gave me the opportunity to explore the place. 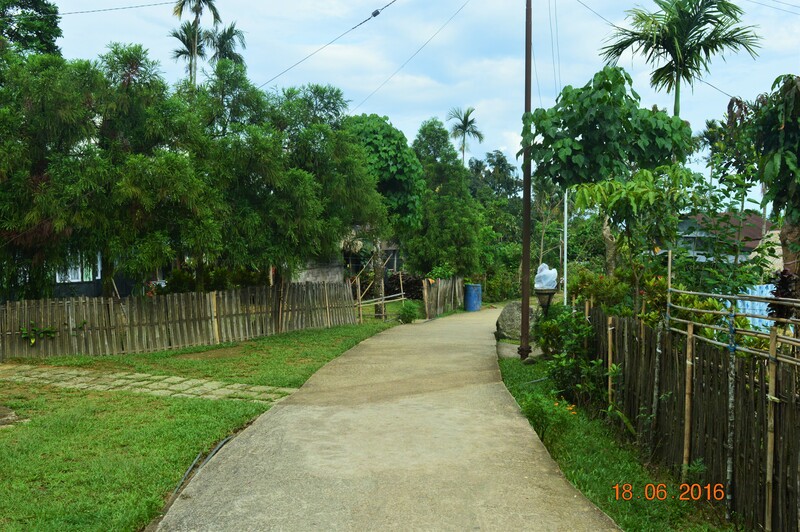 After taking a stroll around the village, I realized why it made perfect sense for this tiny village to be honored as the “Asia’s cleanest village”. 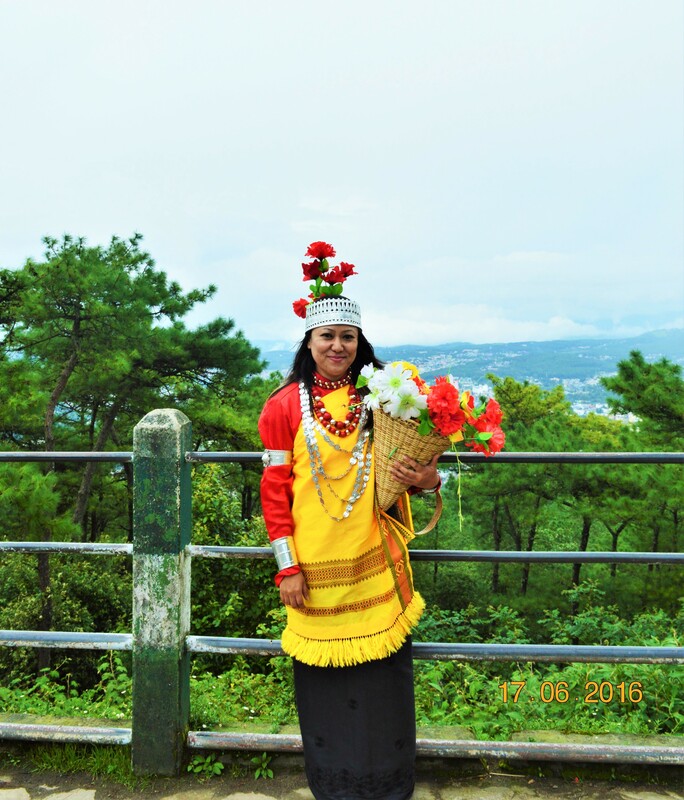 You will see the little Khasi huts and colorful flowers across the street. Not just that, they have a bomboo dustbins that you can see on the streets which the villagers have placed to throw the waste. 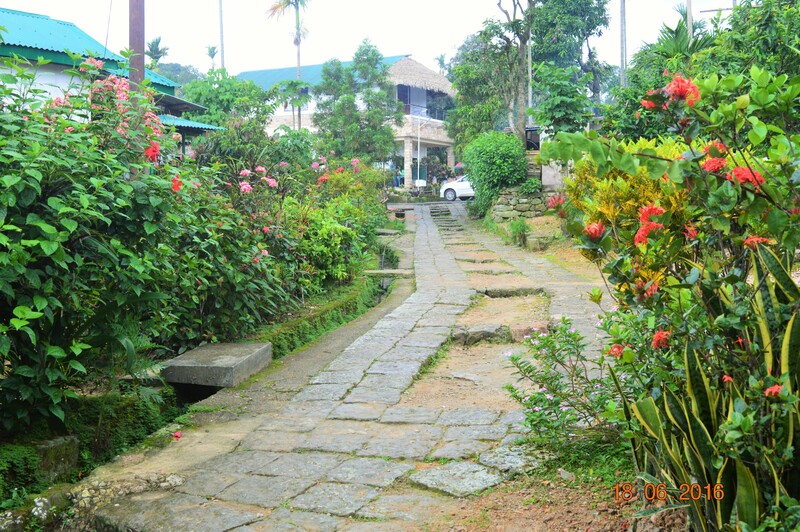 Walk around the village and you’ll be amazed to see how the villagers have kept the place so clean. There was a single restaurant that we could locate where we had our lunch before leaving the place. Food served is simple yet very tasty. On the way we stopped to visit the nature’s wonder rock. There’s nothing great about the place, but it’ll make you wonder how can such a big boulder be placed and balanced on top of a small rock. Yes, it’s very strange but true. I made a full circle around to figure out how can it be possible but till now I have no clue. You have to see it for yourself, I don’t have much to express. We then made an impromptu plan to visit the border town of Dawki as it fell on our way back to Shillong. 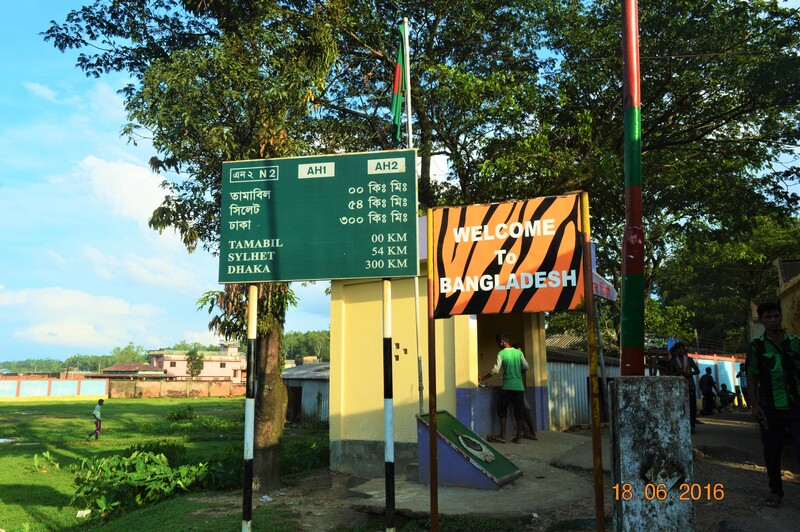 Dawki being the Bangladesh border we came across the stationed BSF jawans on the way and it was good to see the relaxed atmosphere at the border. I literally felt I could walk to Bangladesh as there was no fencing and seriously I was tempted!! Anyways, I just said “Hi” to Bangladesh and walked away. Whie in Dawki it is a must to go for a boat ride at the Umngot River. It was really surprising to see that the river flows between India and Bangladesh and in between there’s a border separating the both. The boatman showed me the India side and the Bangladesh side and yes I could separate that very clearly in the day time. However, it made me wonder how the cross boarder violation was being managed. I felt anyone can simply cross the river and be in a different country!! I guess I was just overthinking; forgive my stupid thought but I felt it could be possible. There might be a lot of illegal immigrants in the country; who knows? That’s just my thought. Anyways, a boat ride in the Umngot river is a must. Clean bottle green water and the surrounding will definitely leave you speechless. The boat ride was really memorable for me and if I get a chance again I would go for a 2hrs ride. That day we couldn’t spend much time as it was getting late and we had to cover a distance back to Shillong. What an end to the day!! I must say the vacation was getting better day by day. 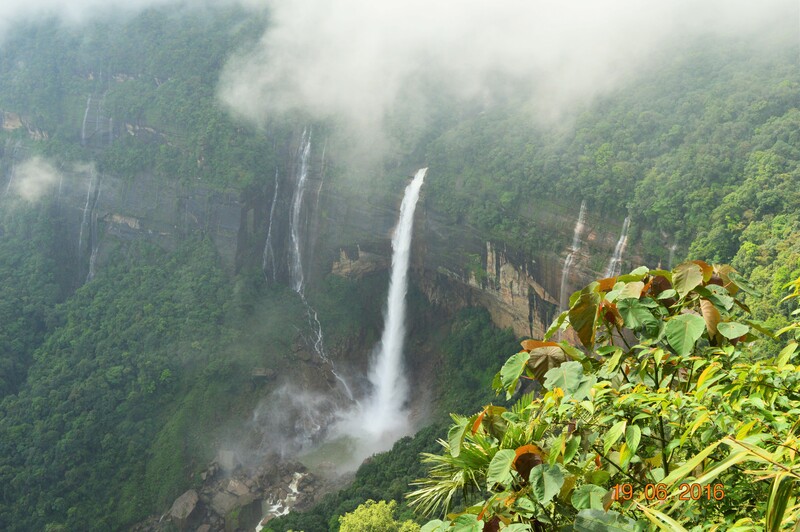 Last place that I had planned to visit was Cherrapunji. 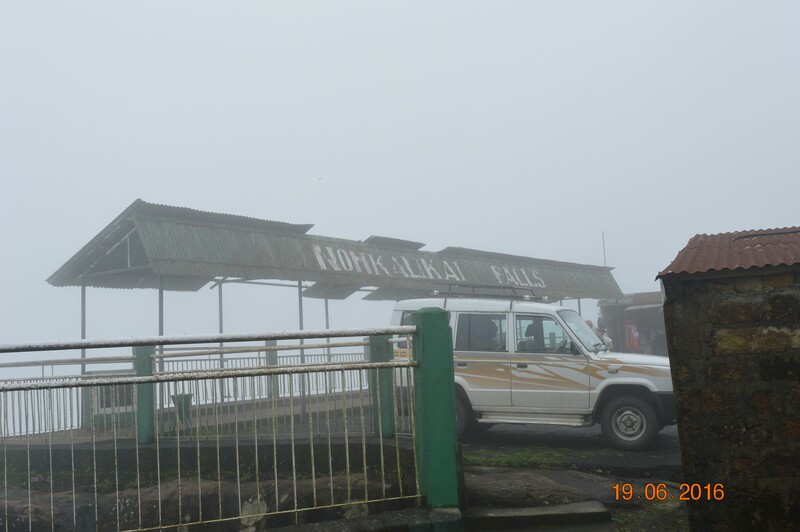 We went directly to Nohkalikai Falls which is the tallest plunge waterfall in India. You will find some shops and food joints selling Tea and Maggie and local handicrafts. You can purchase some souvenirs to gift or to keep it as a memory of the place. When we reached the Falls, all I could hear was the sound of the water hitting the bottom. Due to mist I could see nothing. Initially I was totally disappointed and holding my camera I prayed for the clear weather. When the fog started to disappear I stood with the camera facing the fall till the fog disappeared completely and excitedly captured it in my camera. The waterfall definitely has a tall and huge plunge. The view was mesmerizing!! The tragic story behind the fall will leave you shocked; don’t want to narrate it here… please google.. 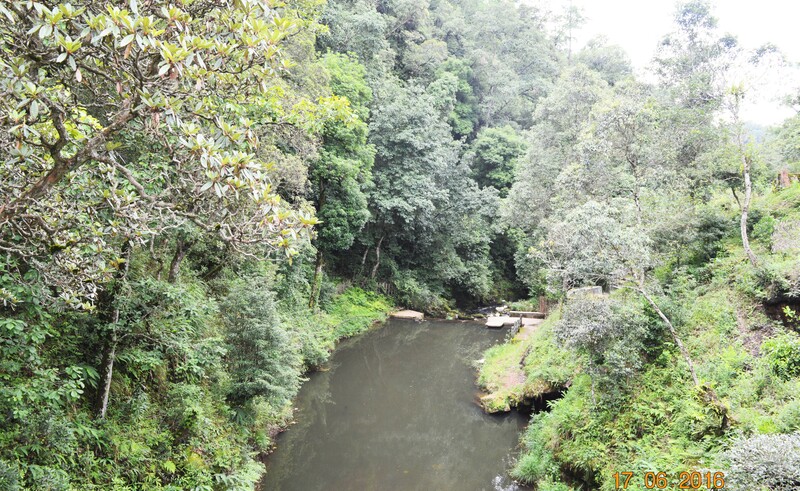 While visiting Cherrapunji there are few other attractions which is a must visit. 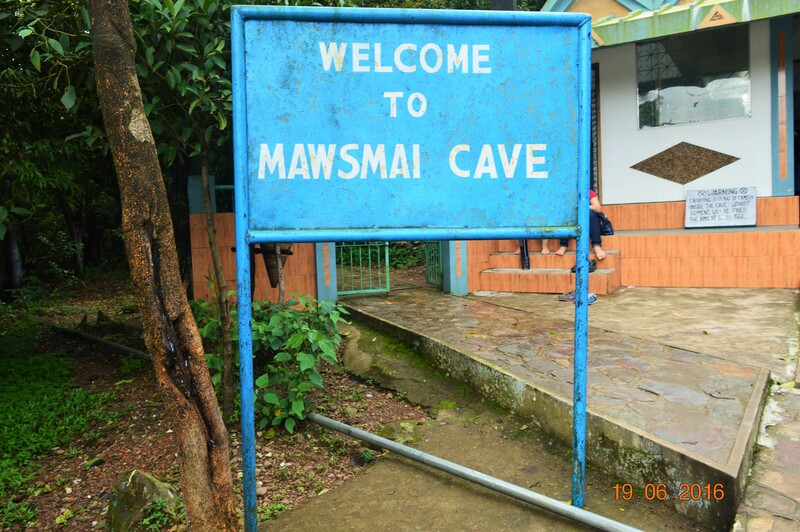 We headed towards Mawsmai Cave after taking a satisfactory view of the Falls. 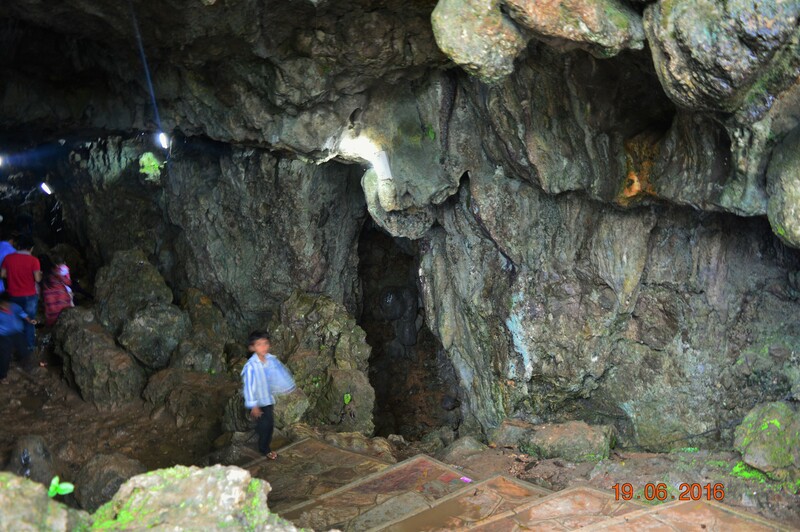 There is a nominal entry fee to enter the cave. It is a onetime experience according to me and why not explore it when you are so nearby. You won’t be able to back-track once you enter the cave and you have to literally scramble around some wet rocks to move forward. Definitely not recommended if you are claustrophobic. Also not meant for people traveling with infants or small kids or elderly people. It can be difficult as you have to bend or jump at places. In fact, to tell you honestly I was relieved once I reached out. 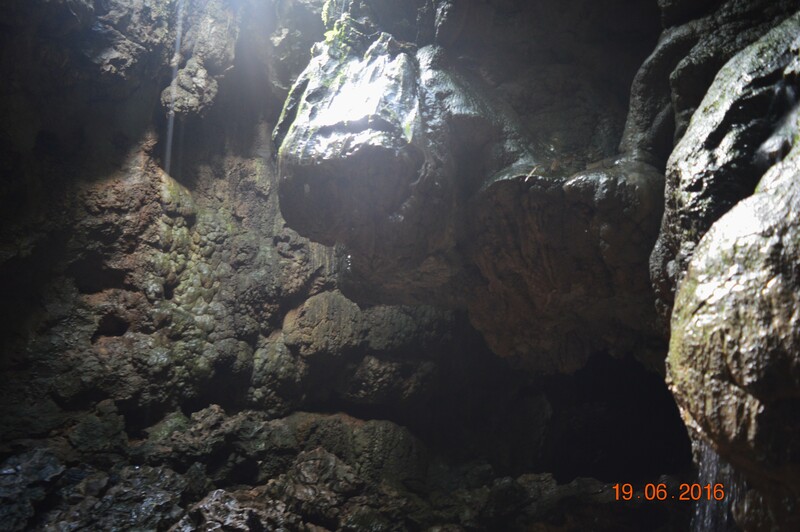 One more thing, cave has water inside on the floor and its inevitable to skip your feet getting drenched. If you’re wearing open shoes, good for you as you can easily dry it. I was wearing a sneaker with socks inside so you can imagine what might have happened. Anyways, after Mawsmai Cave we went to Thangkharang Park. The road which takes you to the park is not that great but the park is worth a visit. It closes at 5PM and unaware of the fact we reached exactly at 5. After requesting the authorities, we got the permission to enter. Which meant, there was no one inside the park expect us and we didn’t get much time to go around and explore every corner of it but I can say that the park was huge and well maintained. The panoramic view of Bangladesh is clearly visible from the park and you can definitely click some amazing pictures there. After strolling for a while we decided to leave for Shillong. It was already late and dense fog obscured the vision on our way back. The visibility was Zero and all the cars were lined up following one another. There was silence in the car and we didn’t have the courage to talk to each other. I guess all of us were silently praying for our safety. It was the scariest moment of my life!! 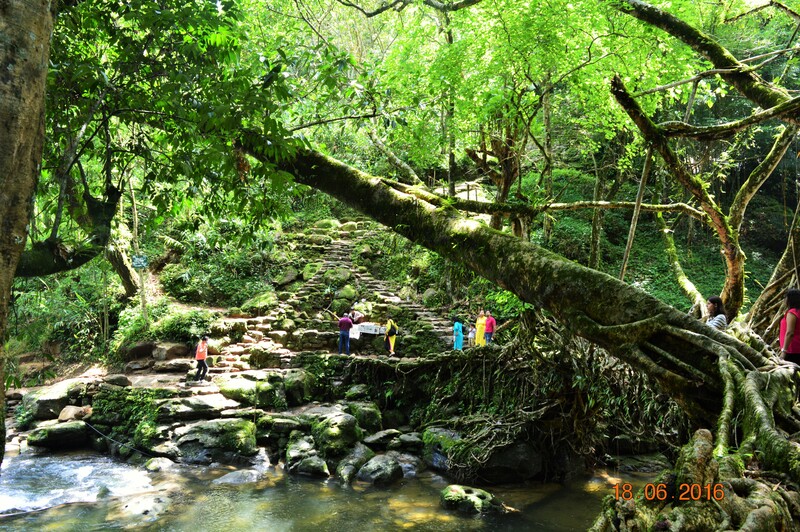 Cherrapunji will be remembered not just for the great falls and the scenic beauty that I experienced but also for the relief that I felt once I reached back safely. 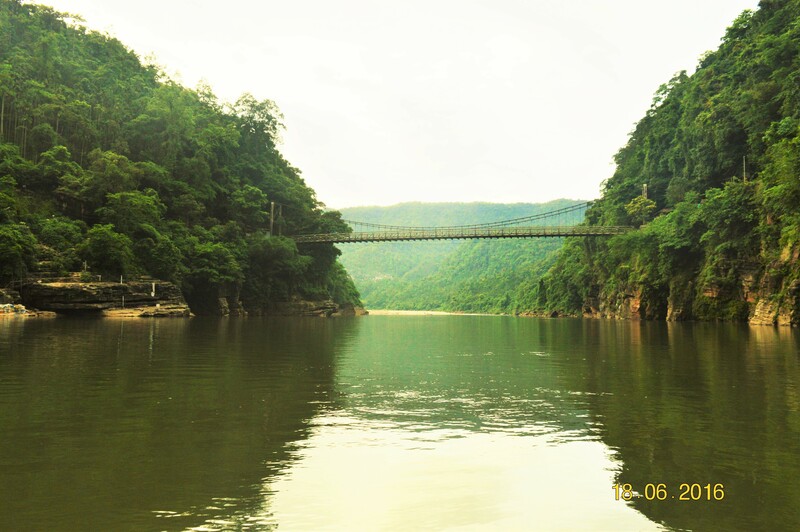 So… that was it.. my much awaited “Meghalaya trip”. Covered Shillong, Mawlynnong, Dawki and Cherrapunji. I am sure there was much more to the place but that is all that I could cover. 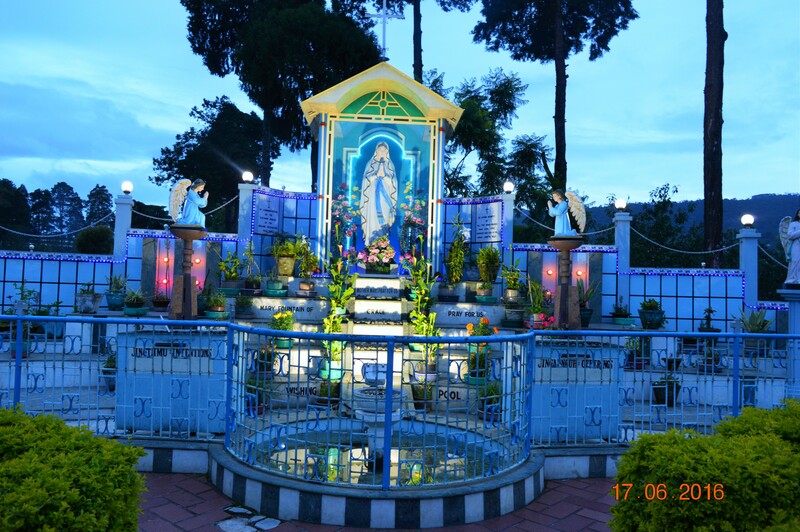 I had a morning train booked from Guwahati to NJP, and I had two options to choose from; either travel early morning the same day around 5AM or go a day before in the evening and take a halt in Guwahati. After discussing with my friend and contemplating for a while, I decided to go a day before. Booked a hotel stay for a night and went out to see the most talked about local market – “Police Bazaar”. The market is good for local shopping and you can find lots of restaurant and vendors in the street. You must stroll around the Police Bazaar to see the all of it. Location is great and the surrounding is quite vibrant. Ohkay.. so finally after stupendous 4 days, I bid adieu to my dear friend and family and took a taxi to Guwahati around 4PM. Shillong to Guwahati is about 3hrs drive and I was expecting to see the Guwahati city in the evening. Not everything you plan always works out and who knows that better than me. When we were about to reach Guwahati I saw a huge traffic jam. Being from Delhi, I am used to traffic jams and it’s normal for me so it didn’t bother me much. It was about after one hour that I became very restless. People in my taxi also got very restless looking at the chaos outside. We got to hear that the road was blocked because of an accident and I could see very little chances of it getting back to normal. I reached the hotel around 12AM. Yes it took me about 8hours to reach Guwahati from Shillong. I am sure lot of people missed their evening train that day, sorry for them. Take loads of pictures – this is am sure needless to say.